Excellent opportunity to earn from home!!! 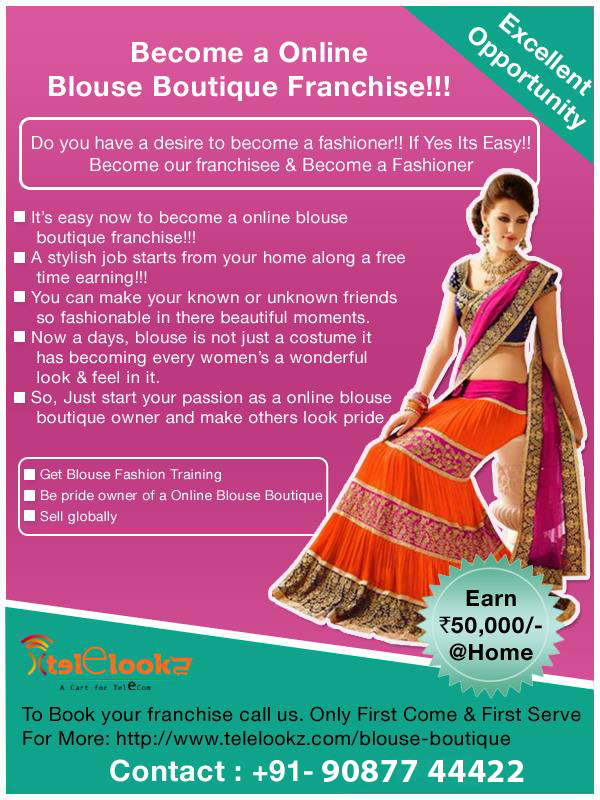 Now you can become an online blouse boutique fashioner in a simply way!!! Start your own online blouse boutique business and become an online entrepreneur with easy guide. Everybody wants to be an owner of a business… It’s the right chance to become our franchise owner! Fragrance is regarded as a luxury item, especially if it is internationally branded. Start a new trend from home as an online perfume franchise! House ware includes utility or supporting products used by individuals to perform their daily household activities such as cooking, cleaning, lighting, and furnishing. They are also used to maintain the decor of a home. Open your online house ware franchise and live happily!! !